I recently started in the Fishers Youth Mentoring Initiative, and my mentee is a young man in junior high who really likes lizards. He showed me photos of them on his iPad, photos of his pet lizard, and informed me of many lizard facts. He’s also a talented sketch artist – showcasing many drawings of Pokemon, lizards and more. Oh, yeah, he’s also into computers and loves his iPad. Part of the mentoring program is to help with school, being there as they adjust to growing up, and both respecting and encouraging their interests. It just so happens that he had a science project coming up. He wasn’t sure what to write about. His pet lizard recently had an attitude shift, and he figured it was because it wasn’t getting as much food week over week. Changing that, he realized its attitude changed. So, he wanted to cover that somehow. Seeing his interest in lizards, drawing, and computers I asked if we could combine them. I suggested we build an app, a “Reptile Tracker,” that would help us track reptiles, teach others about them, and show them drawings he did. He loved the idea. We only get to meet for 30 minutes each week. So, I gave him some homework. Next time we meet, “show me what the app would look like.” He gleefully agreed. I said “Very cool.” I’m now convinced “he’s in” on the project, and taking it seriously. I was also surprised to learn that my expectations of “show me what it would look like” were different from what I received from someone both much younger than I and with a different world view. To him, software may simply be visualized as an icon. In my world, it’s mockups and napkin sketches. It definitely made me think about others’ perceptions! Identify if there are reptiles in the photo. Tell them if it’s safe to pick it up, if it’s venomous, and so forth. Get one point for every reptile found. We’ll only support Lizards, Snakes, and Turtles in the first version. Alright, time for the next assignment. My homework was to figure out how to do it. His homework was to draw up the Lizard, Snake, and Turtle that will be shown in the app. The icon he drew is great, but looks like a drawing on the screen. I think I’ll need to ask him to draw them on my Surface Book, so they have the right look. Looks like an opportunity for him to try Fresh Paint on my Surface Book. Azure Cognitive Services, specifically their Computer Vision solution (API), will work for this task. I found a great article on the Xamarin blog by Mike James. I had to update it a bit for this article, as the calls and packages are a bit different two years later, but it definitely pointed me in the right direction. Side Note: Normally I would use my Surface Book. This was a chance for me to seriously play with MFractor for the first time. Yay, even more learning this weekend! Now it was time to check out Mike’s article. It made sense, and was close to what I wanted. However, the packages he referenced were for Microsoft’s Project Oxford. In 2018, those capabilities have been rolled into Azure as Azure Cognitive Services. Once I found the updated NuGet package – Microsoft.Azure.CognitiveServices.Vision.ComputerVision – and made some code tweaks, I ended up with working code. And here’s the implementation. Note the implementation must have a parameter-less constructor, otherwise Dependency Service won’t resolve it. 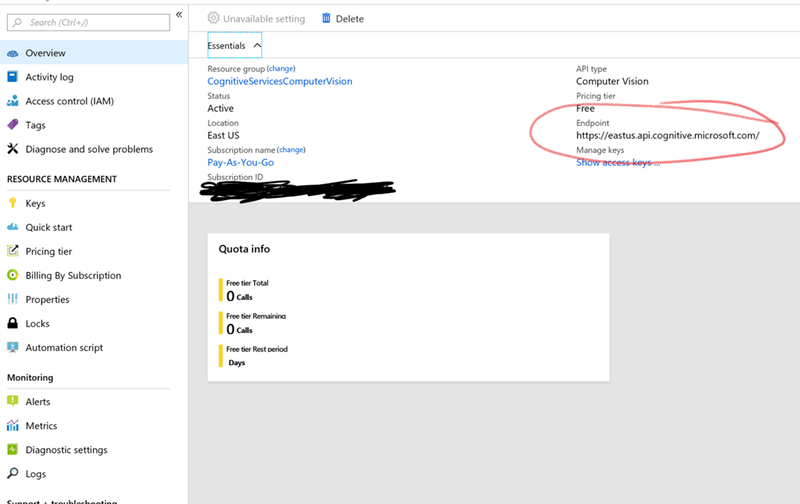 /// The Azure Cognitive Services Computer Vision API key. /// Parameterless constructor so Dependency Service can create an instance. /// Initializes a new instance of the <see cref="T:ReptileTracker.Services.ImageRecognitionService"/> class. // Determine if reptiles were found. // Show animations and graphics to make things look cool, even though we already have plenty of info. I would receive a 400 Bad Request if I sent an image that was too large. 1024 x 768 worked, but 2000 x 2000 didn’t. The documentation says the image must be less than 4MB, and at least 50×50. That API endpoint must be initialized. Examples don’t always make this clear. There’s no constructor that takes an endpoint address, so it’s easy to miss. It can take a moment for recognition to occur. Make sure you’re using async/await so you don’t block the UI Thread! Before I get into the results, I wanted to point out I spent significant time prettying things up. I added animations, different font sizes, better icons from The Noun Project, and more. While the image recognizer only took about an hour, the UX took a lot more. Funny how that works. I would have thought it would have found “White Castle”. I wonder if it won’t show brand names for some reason? They do have an OCR endpoint, so maybe that would be useful in another use case. I’ll need to read more about how to improve accuracy, if and whether that’s even an option. Good thing I implemented it with an interface! I could try Google’s computer vision services next. We’re not done with the app yet – this week, we will discuss how to handle the scoring. I’ll post updates as we work on it. Here’s a link to the iOS beta. Highlight the tags in the image, by drawing over the image. I’d make this a toggle. Clean up the UI to toggle “developer details”. It’s cool to show those now, but it doesn’t necessarily help the target user. I’ll ask my mentee what he thinks. Please let me know if you have any questions by leaving a comment! Want to learn more about Xamarin? I suggest Microsoft’s totally awesome Xamarin University. All the classes you need to get started are free. The tags are in two different locations – Tags and Description.Tags. Two different sets of tags are in there, so I’m now combining those lists and getting better results. I found I could get color details. I’ve updated the accent color surrounding the photo. Just a nice design touch. This solved the problem like magic for me. I hope it helps you, too! P.S. Make sure you have the CAMERA permission. I’ve also read you may also need the FLASHLIGHT permission, although I’m not entirely sure that’s required. Alright, I found a Moto 360 and I’m enjoying it. The following is not my review. It is a list of bugs Motorola and Google need to fix on this device and across Android Wear. Note this is only what I’ve noticed after one day. I’ll post more as I explore. When you take the phone out of the box, it doesn’t turn on or has a low battery. That’s understandable. What’s not alright is no prompt about the battery level or what to do. It’s simply “Connect your device to Android Wear,” or something to that effect. That’s very un-user-friendly. Where were the UX guys with the setup process? Only one watch face shows the date. $250 and no date? Seriously? Update, thanks to Rich DeMuro: Drag down slightly to see the date. When asking the watch to make a call to a contact with more than one number, it asks "Which One?" However, it doesn’t give you a list. Saying "the first one" works, but I don’t know what I selected until it dials. There’s no confirmation request when sending a text… it just sends it. It sometimes stops listening or lists your options when listening. It sometimes starts listening when it shouldn’t. Carrier messaging apps break the ability to reply to texts. I had to disable Verizon Messaging entirely. Facebook support for displaying the new comments would be nice, like the email display feature. There’s no battery level meter anywhere on the device, or at least that’s obvious. Update, thanks to Rich DeMuro: Drag down slightly from the top to see battery level. The Android Wear app doesn’t show battery level, but Moto Connect does. Weird? Sometimes Google search results take precedence over actions. For example, saying "play ebay by weird al" brings up YouTube results. However, "play technologic by daft punk" plays the song. It’s hit or miss. So far, adding a calendar entry hasn’t worked. There needs to be a notification center to control which notifications are sent to the phone. Yes, you can do it via the App Manager, but it’s horrible. The accelerometer doesn’t always sense the wrist has been moved to a viewing angle. When driving, the accelerometer appears to trigger the display to turn on *a lot*. It’s not good when driving kills your battery. A speaker would be helpful for prompts. The Motorola Feedback website doesn’t list the Moto360 as a product. So, how do I register it or get support? 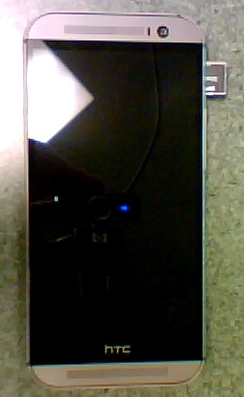 The device occasionally says its Offline when the phone is only three feet away. I’m thinking this is a bug in the Google Now integration and not an actual communications issue. Saying “Call <insert name here> on cell” doesn’t work most of the time, but saying the same “on mobile” is generally reliable. Calling “Send text to <insert name here>” sometimes asks “Which one?” but only shows the phone numbers. I wasn’t sure if I was sending to the right person because the name wasn’t listed. Most of the time, when the screen turns on when moving even the slightest, the watch starts listening, even if I don’t say “Ok, Google”. It’s very annoying. It would be nice if “Ok, Google” could be changed to something else. I feel like I’m advertising Google every time I use my watch. The pedometer seems inaccurate, rendering phantom steps as far as I can tell. The inaccuracy extends to the heart rate monitor. After a long workout, the monitor said I was at 74 bpm, then 90. I took my own pulse, and it was quite off the mark. The latest build, 4.4W.1 KGW42R, has greatly improved battery life. On an average day of use, unplugging the watch at around 7am, I was still at 20% at roughly 9:45pm. Great job, Motorola! Even with Messaging as the default app, I have no option to Reply to texts when the notification appears. This may be due to HTC overriding some default app, but I’m unsure. To launch apps, go to the Google screen, then go to Start… and you can select an app. HTC One M8 MicroSD Card Tray Warning! Ok, learned this sort of the hard way today… I picked up the brand spanking new HTC One M8 yesterday. So far it’s a fantastic phone. I wanted to add a 32 GB MicroSD card, since it wonderfully supports such expansion. Beware! There’s a little tray that comes out when you use the paper clip in the little hole. Put the MicroSD card in that tray! I thought it was simply a placeholder at first, so I slyly proceeded to simply insert the card into the hole. Whoops! If you fall into the same trap, it’s easy to get the MicroSD card out. First, you might as well finish the formatting steps – it’s in there anyway. When that’s done, use the paperclip to release the MicroSD card from the tray. Yes, I know it won’t come out all the way. After releasing it via the eject hole, use the side of the paperclip to gently pull the card out from the right side a little bit. Once you can see the plastic of the card, pull it out the rest of the way with your fingers. Problem solved!